Working undercover in Bangkok, Alex meets someone he can finally trust. But in the poisonous world of espionage, is there any such thing? Before long, Alex finds himself facing an old enemy… an enemy with a plan which could destabilise half the world. Caught between two secret services, unsure who is on his side, can Alex dodge his enemies’ lethal venom for long? 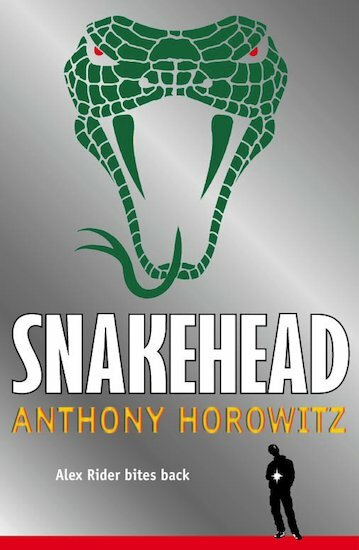 The seventh scorching Alex Rider adventure, set in the violent gangland underworld of the Snakeheads. This book was really touching, because Alex gets betrayed by a lot of people.In the end he realizes his godfather Ash is working against him and the ASIS knew this from the start. I absolutely adored this book! definitely the best of the Alex Rider series! a must-read if you are a fan of action, adventure and drama!I hope you enjoy reading this as much as I did!